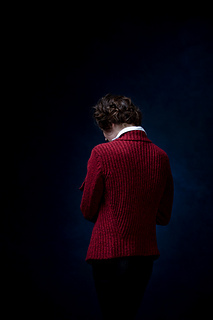 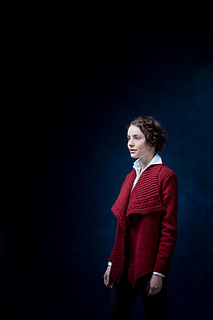 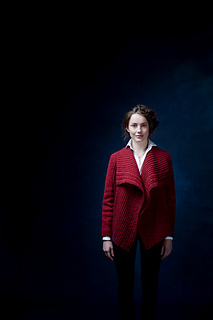 This dramatic open cardigan makes the most of deeply textured brioche stitch. 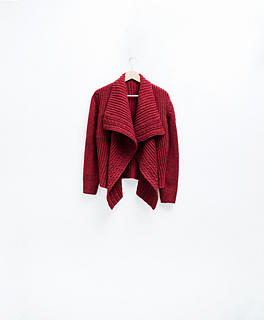 The blanket fronts are adorned with reversible cables and hang with a flattering tilt, thanks to architectural back shaping. 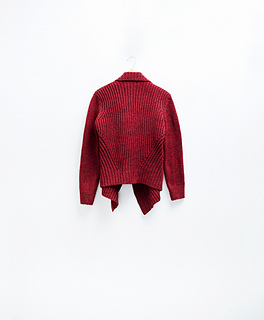 Carpeaux is knit from Shelter in one piece to the underarms, with sleeves knit circularly to the caps and then seamed in. 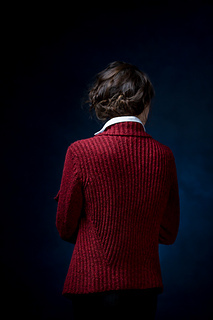 The cables are charted, and thoughtful details like garter stitch selvedges and tubular edging give this garment professional polish. 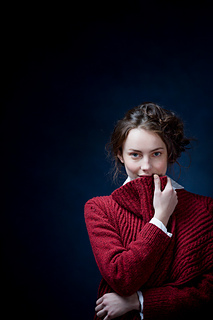 32″ circular needle can be used instead of DPNs and/or 16″ circular needle if using the Magic Loop method for working small circumferences in the round (i.e., Sleeves).